Moorea Seal, CEO of Moorea Seal, Inc. and author of The 52 Lists Project Series speaks about how to value yourself above your work in a TED-style talk. 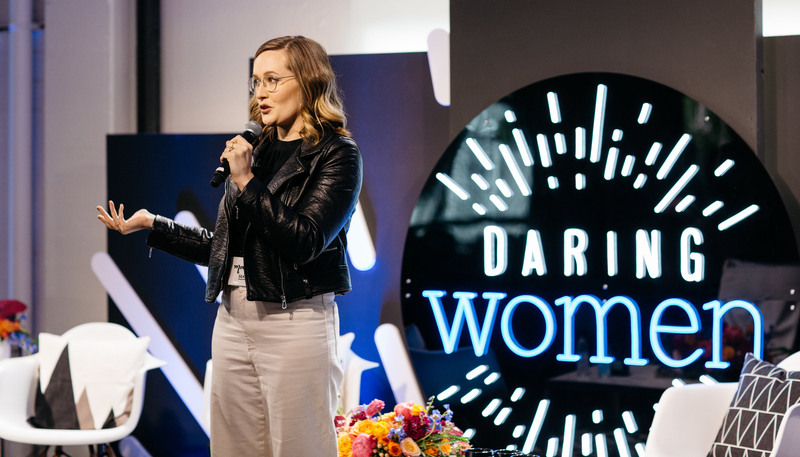 More than 350 women attended our sold-out inaugural Daring Women event. Women business leaders from companies such as Microsoft, PayScale, Bank of America and The Riveter spoke on panels and led TED-style talks about challenges women face in the workplace, how to balance work and personal life, and how to succeed in the tech industry. Missed the event last Thursday? Watch it on Facebook Live here. “Women sometimes resist vulnerability because it’s part of the mask. Men go through all this training to become more vulnerable. That’s our lane, ladies, we need to make that work!” @jessieww at #DaringWomensea Dare to Be Bold session on diversity and inclusion.